You have a missing tooth that you desperately want to take care of – but you’re only 35, and a bridge or partial denture isn’t for you. 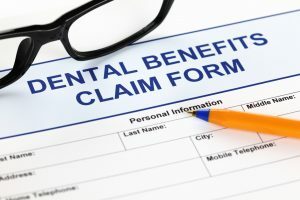 You want a dental implant from your dentist in San Antonio, but your insurance won’t cover this procedure. Should you opt for the covered treatment or just let the blank spot linger? Find out why some services may not be covered by your plan, even though they’re necessary for your oral health. Dr. Christopher J. Holland at New Image Dentistry explains why, and what you can do about it, in this post. What Necessary Procedures Aren’t Covered? Invisalign – Most dental plans have limited benefits for orthodontics, at best – including clear aligners like Invisalign. Since insurance companies aren’t trained dental professionals, they don’t understand that crooked teeth break easily, increase gum disease, are more susceptible to tooth decay, and even fall out just because the alignment is off. Porcelain Crowns – While your insurance company would probably recommend pulling out a problematic tooth, your dentist would suggest a dental crown that can save you existing dentition and modify it to make it stronger. This necessary service can spare you from early dentures and resulting bone loss. Veneers – If you have severe staining from tetracycline antibiotics, you can might suffer from self-confidence issues. This type of deep, intrinsic staining can’t be treated with over-the-counter strips or gels – porcelain veneers are one of the few methods that actually fix this problem. They’re also great to correct chips that can progress and cause you to lose your teeth, even if insurance companies fail to see this. Dental Implants & Bridges – Since your coverage would most likely not include benefits for dental implants or bridges, you may consider not addressing your missing teeth. This can cause major problems to the ones that remain, including chips, breaks, alignment issues, and the loss of jaw bone tissue. Bonding – If teeth don’t make proper connection when you chew because they are too short, they can become weak. Bonding addresses this problem and keeps your bite and alignment strong, even though insurance companies won’t cover this beneficial treatment. What If My Insurance Won’t Cover My Necessary Treatment? Dr. Holland never wants his patients to go without the treatment they need because of insurance coverage or financial worries. We offer several different ways to take care of payment including in-office insurance plans, financing options like CareCredit, payment arrangements, and discounts for seniors and for patients paying in cash. Now that you know why you need your dental treatment even if your insurance company says otherwise, schedule your appointment with New Image Dentistry today – we’ll make your healthy smile affordable!